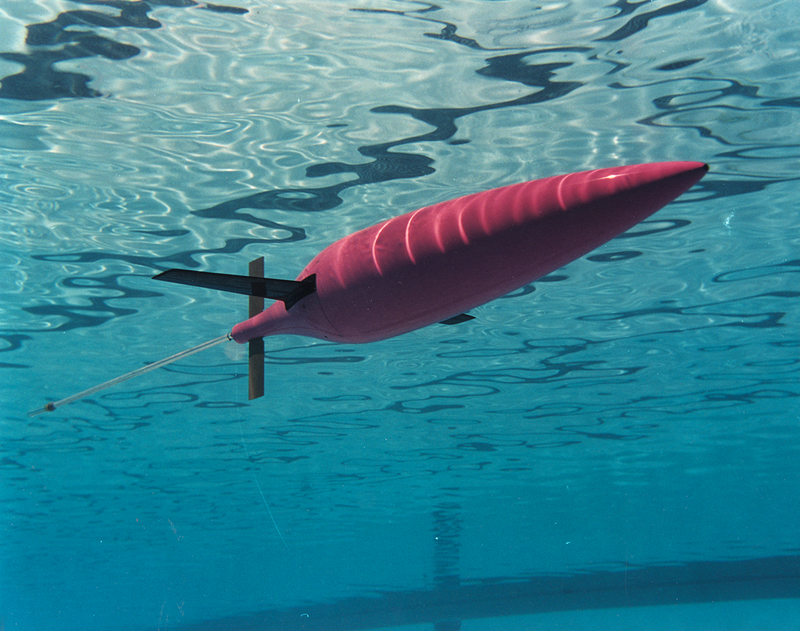 The Applied Physics Laboratory has led autonomous underwater vehicle (AUV) design and development since the 1950s, and now Seaglider heralds a revolution in AUV oceanographic applications. With satellite data telemetry Seaglider delivers continuous, real-time data relay and rational control capabilities over large geographic areas and long time scales. 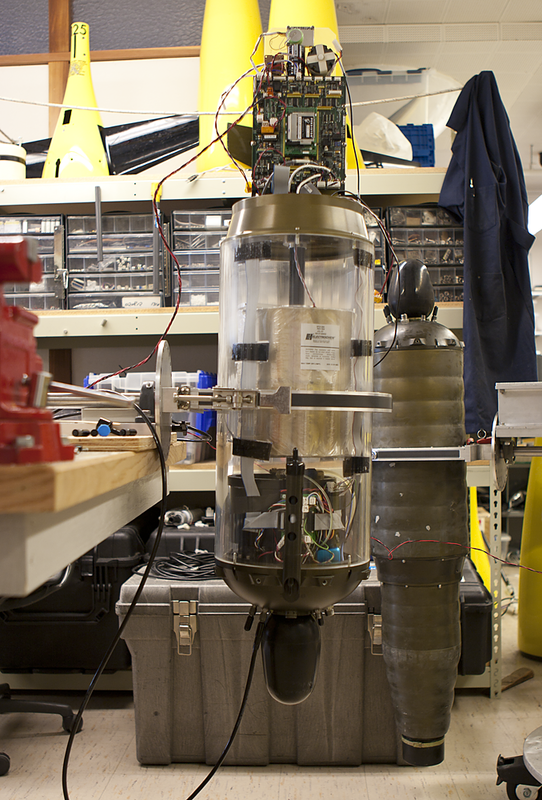 The AUV Seaglider is the result of a collaborative effort between APL-UW and the UW School of Oceanography. These small, free-swimming vehicles can gather conductivity-temperature-depth (CTD) data from the ocean for months at a time and transmit it to shore in near-real time via satellite data telemetry. Seagliders make oceanographic measurements traditionally collected by research vessels or moored instruments, but at a fraction of the cost. They can survey along a transect, profile at a fixed location, and can be commanded to alter their sampling strategies throughout a mission. Seaglider moves through the ocean and communicates with satellites to transmit data and determine its global position. 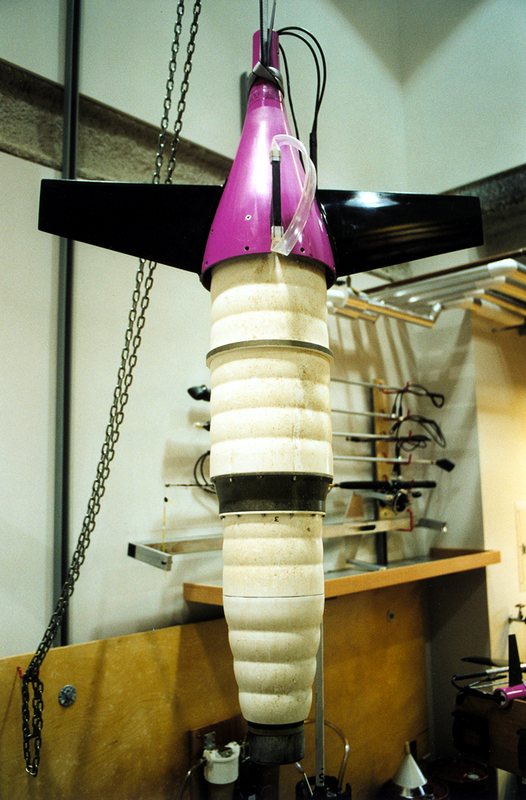 It uses changes in buoyancy for thrust and a stable hydrodynamic shape to achieve flight in the water. Its low drag body, horizontal wings, and fixed rudder allow it to fly up and down through the water column. 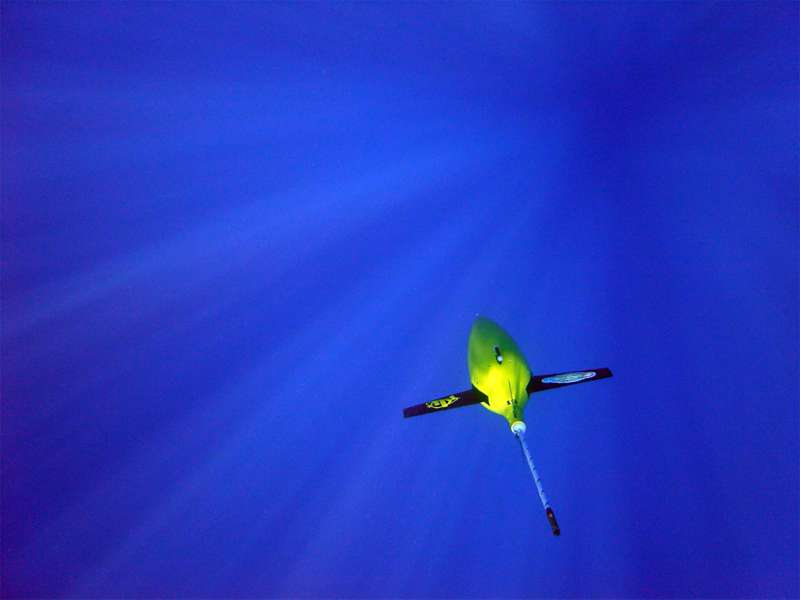 As Seaglider dives and ascends its wings cause it to glide, allowing horizontal movement. 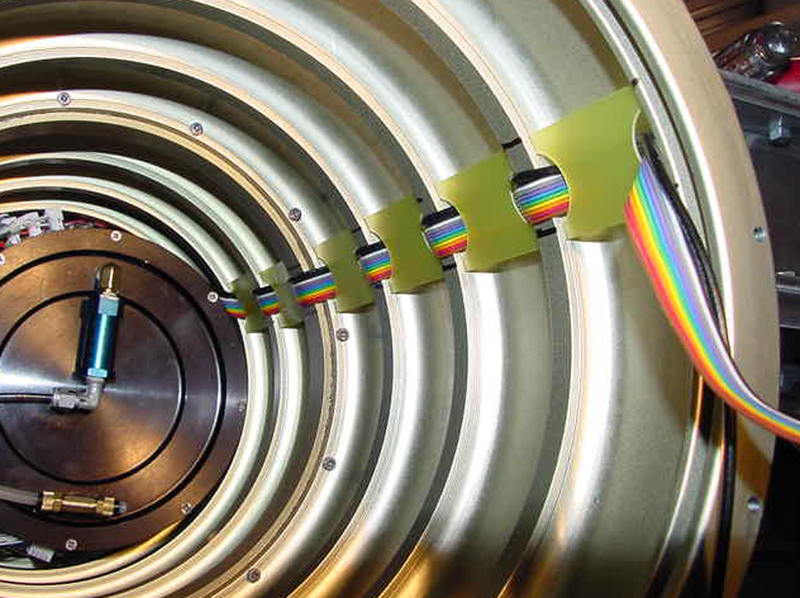 Internal sensors monitor the depth, heading and attitude of the AUV. 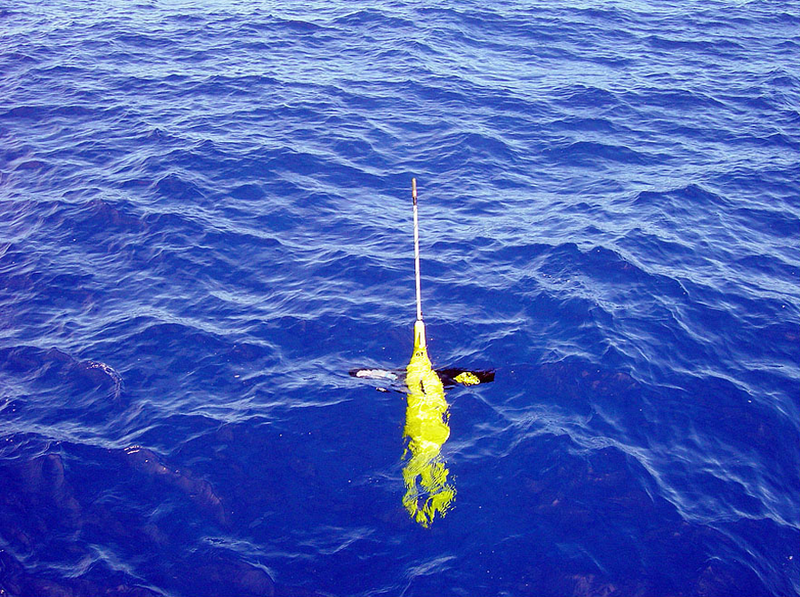 External sensors are constantly scanning the ocean to determine water properties. 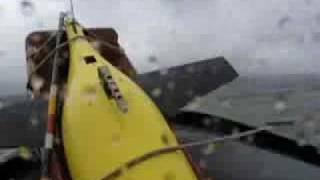 Seaglider Probes Dabob Bay and Hood Canal. 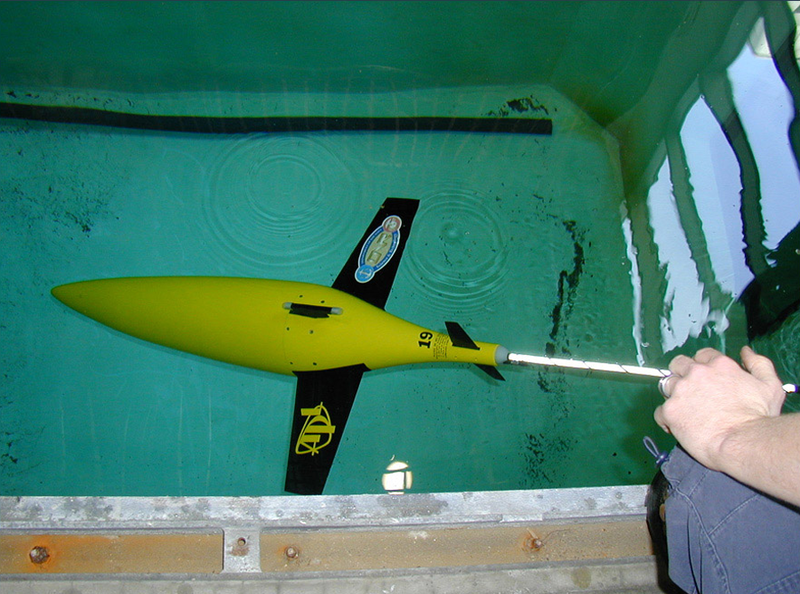 The Office of Naval Research funded Seaglider's participation in AUVFEST 2005, the sixth such event, over a period of two weeks in June. The glider was launched on the 9th and profiled continuously over 40 horizontal nautical miles through the 15th. 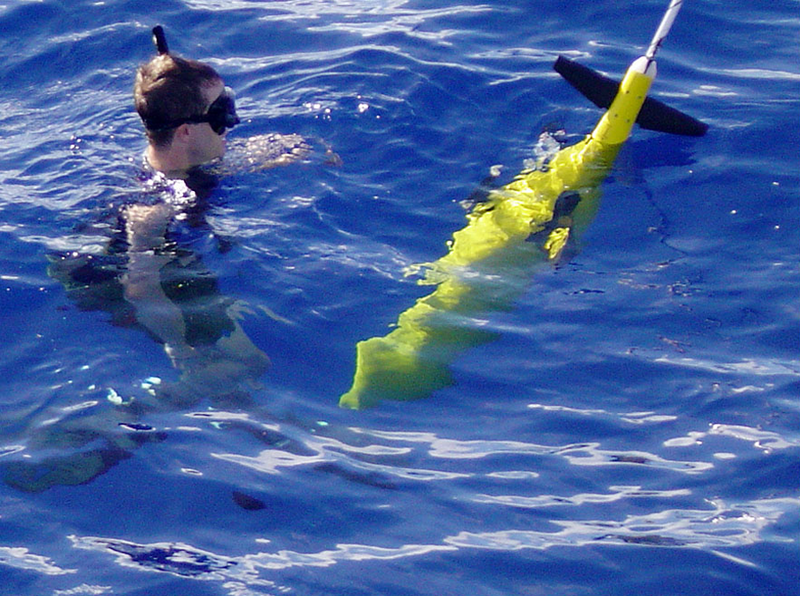 Making 180 dives to 100 m, the glider measured temperature, conductivity, and dissolved oxygen and computed surface and depth-averaged current onboard for each profile. Upon reaching the surface, the glider telemetered data ashore and received waypoint and command file updates. The shore server immediately formatted temperature, salinity, and ocean current data into standard Navy formatted messages and emailed them to NAVOCEANO where they were "bent-piped" in real time back to the AUVFEST command center. An on-site NAVOCEANO representative assimilated the profile data in a PC-Tides model as part of the AUVFEST demonstration. Twice SG022 was commanded to rendezvous and station-keep at a common waypoint with two or three Slocum gliders flown by Alaskan Native Technologies and SPAWAR. 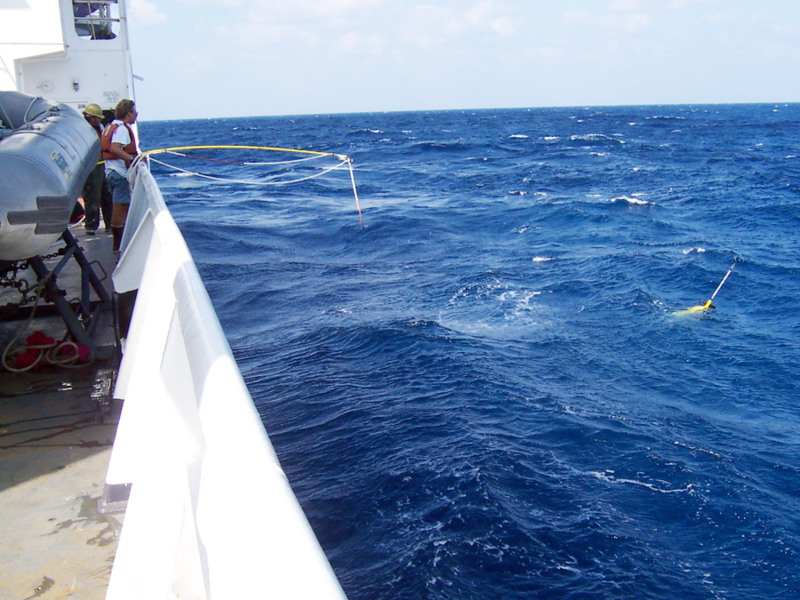 Over the last 36 hours of operation, the glider was flown in a double-bow-tie formation to demonstrate the effectiveness of its Kalman filter to deal with tidal fluctuations. 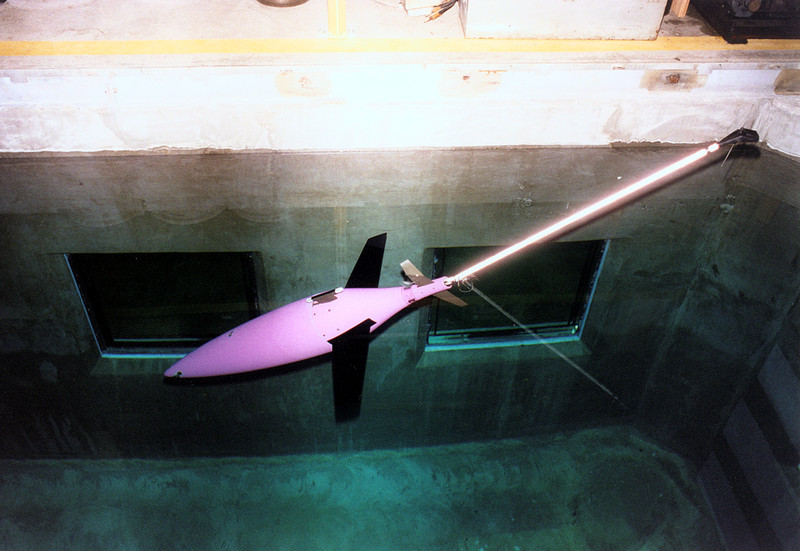 A bonus to this exhibition deployment was the demonstration of the glider's capability to acquire dissolved oxygen data that could contribute to the study of oxygen deficiency in Hood Canal. SG022 participated in AUVFEST on the heels of a record-breaking AUV mission as part of the North Pacific Acoustic Laboratory experiment. Launched in the central north Pacific Ocean on 14 September 2004, SG022 traversed 1800 horizontal nautical miles and made nearly 600 dives with sister glider SG023; they were recovered six and a half months later in mid-April off the southern shore of Kauai. Seaglider Soars as Remote Environmental Sensor. 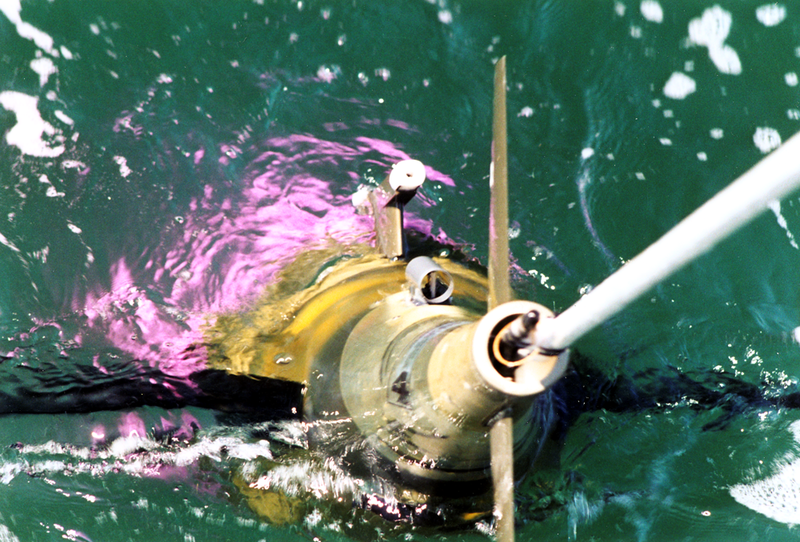 The Office of Naval Research funded an initiative to have a Seaglider participate in a Navy ASW exercise called TASWEX-04 in the East China Sea in October 2004. 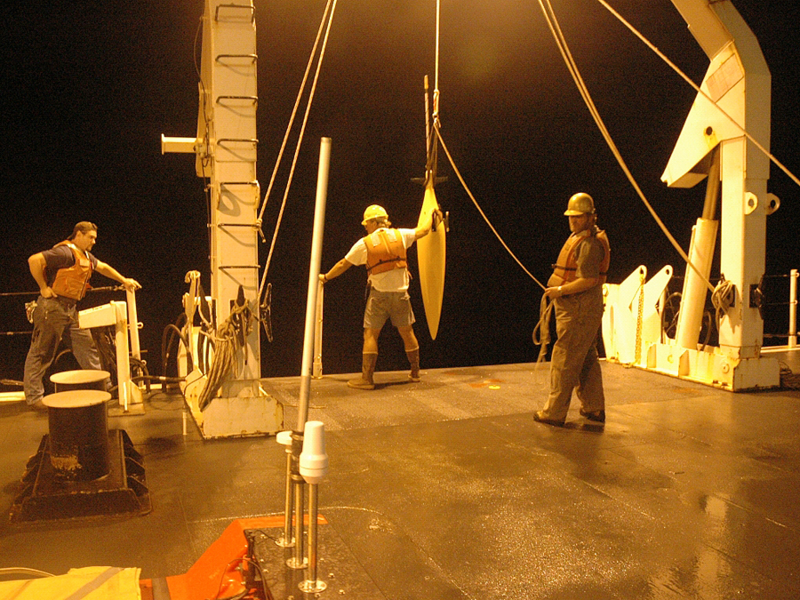 Craig Lee of the Ocean Physics Department, APL-UW, offered one of his Davis Strait gliders, SG-017, and Tim Wen of the Ocean Engineering Department was the APL-UW technician aboard the USNS Bowditch, TAGS-60 with the glider. 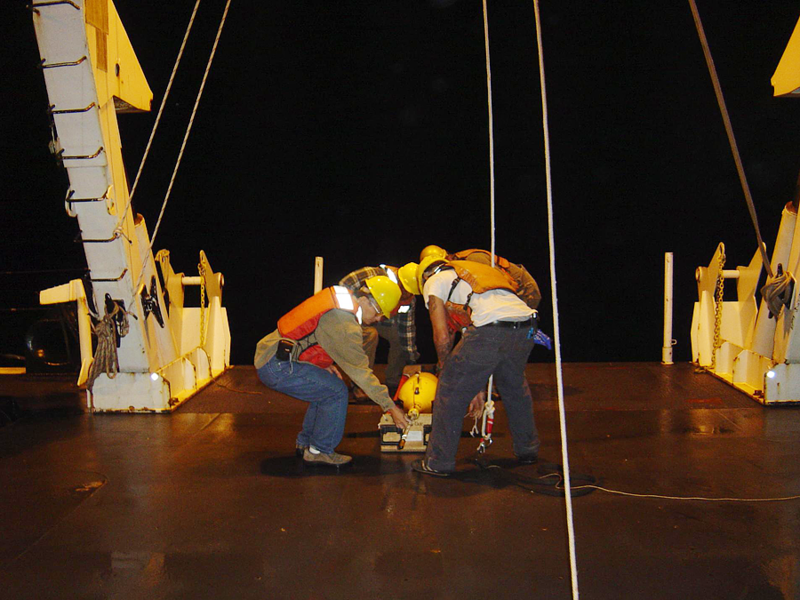 Pilots were Dr. Craig Lee and Neil Bogue, APL-UW; and Dr. Charlie Erikson, UW Oceanography Department. Mr. Wen was responsible for the launch, monitoring, and recovery of Seaglider as it probed an oceanographically dynamic shelf-break environment to discover the boundaries of the Kuroshio current. 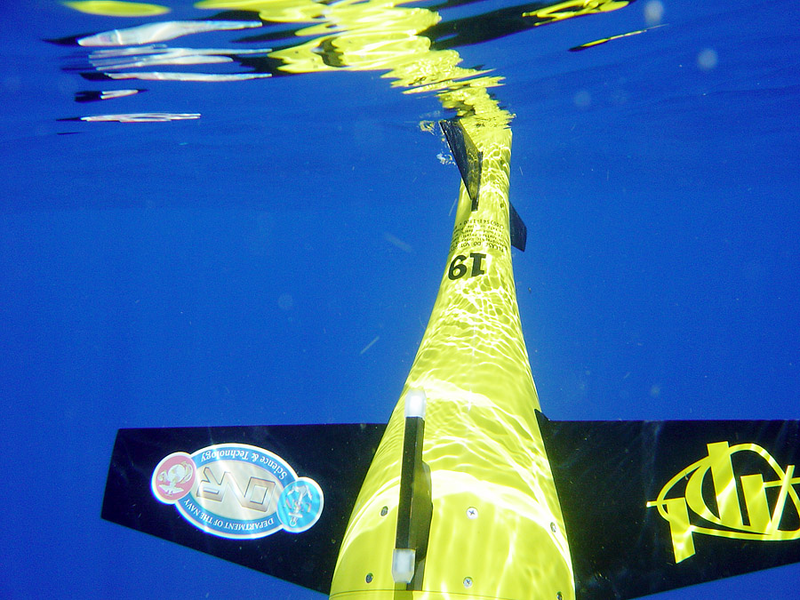 This was the first time Seaglider had been piloted in such an active environment. 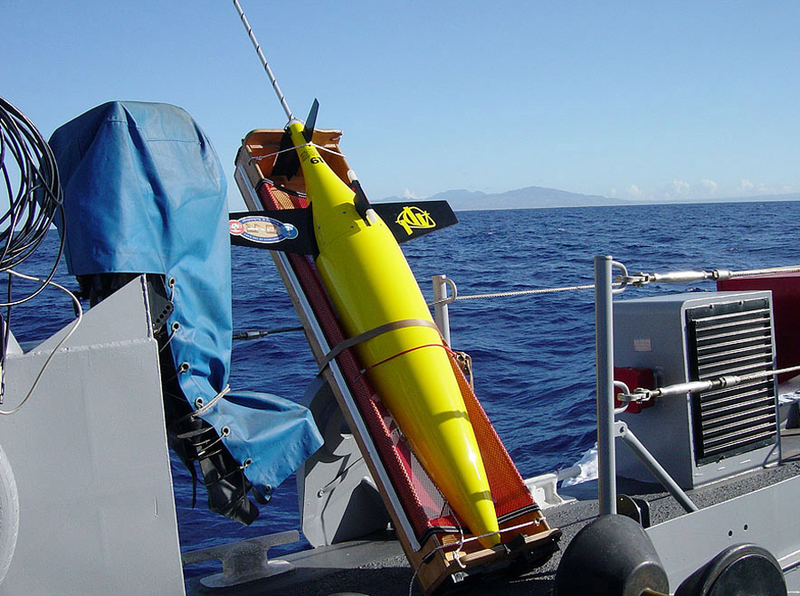 The exercise was sponsored as part of the Navy's Task Force ASW Initiative, a major Chief of Naval Operations initiative that has the Navy's attention because of Seaglider's potential for improving the Navy's ASW capability in diesel submarine conflicts. 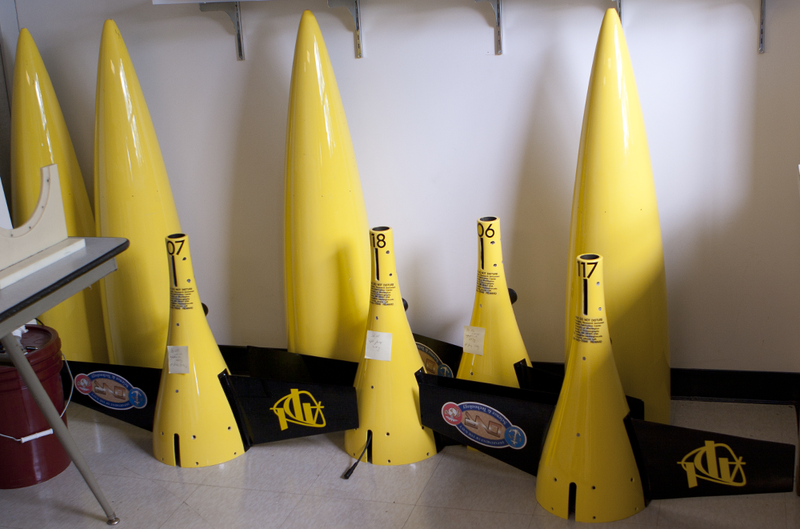 This represents an expansion of Seaglider's traditional design role as a deep ocean profiler. 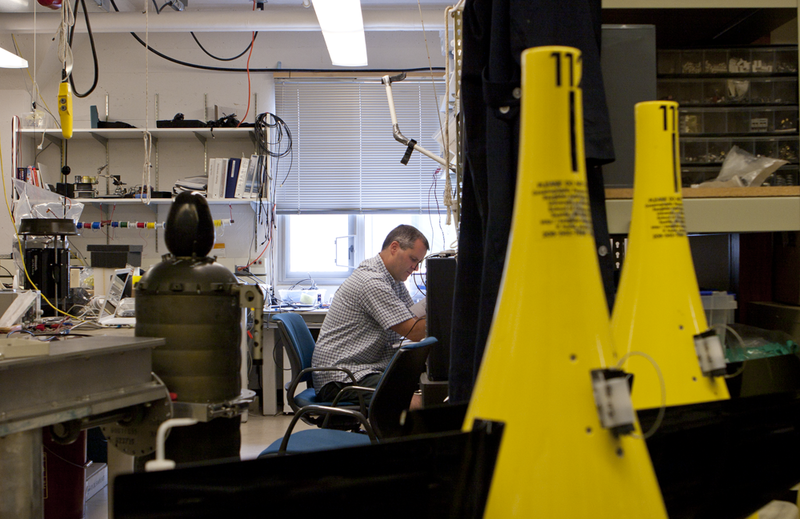 TASWEX-04 was the second time that Seaglider has engaged in Navy-related activities. SG-019 participated in RIMPAC-04 in June and July, completing 374 successful profiles over 170 horizontal miles in 25 days before experiencing command, control, and communication difficulties. The Navy came away from RIMPAC-04 excited about the potential such vehicles may bring to both environmental assessment of the undersea battle space and tactical remote sensing. 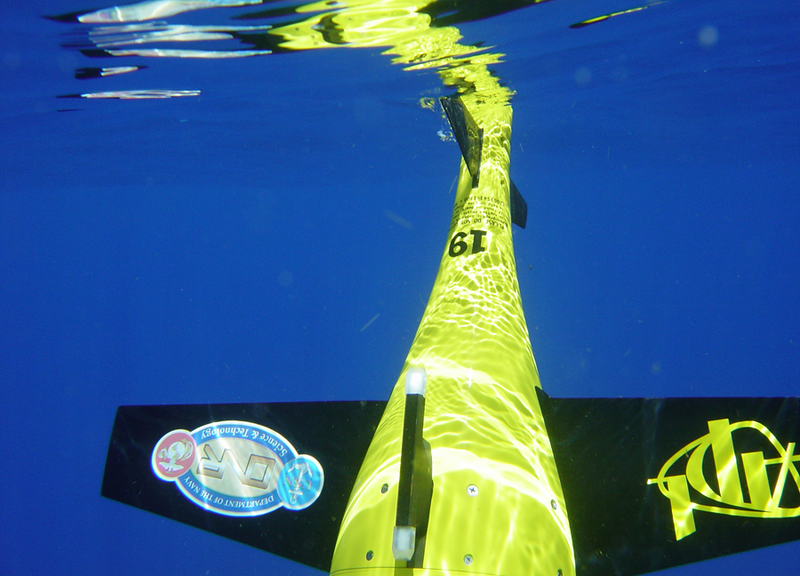 On June 15th Seaglider 019 was launched in deep water south of Oahu from the U.S. Navy torpedo retriever Chaparral TWR-7. From here it began six weeks of operation in support of the U.S. Navy exercise RIMPAC-04—an international exercise involving navies from eight nations. 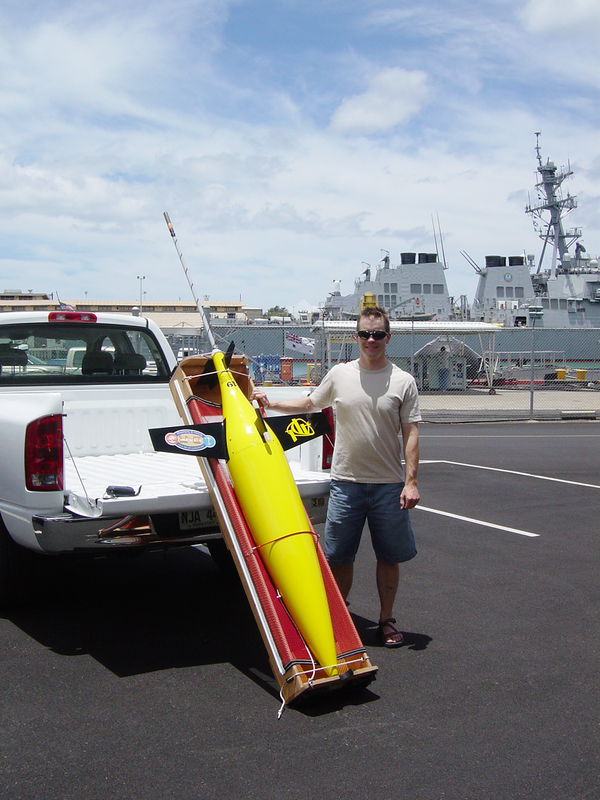 Dr. Tom Swean of the Office of Naval Research, funded APL-UW to build both a glider and participate in a Navy exercise with the Seaglider. 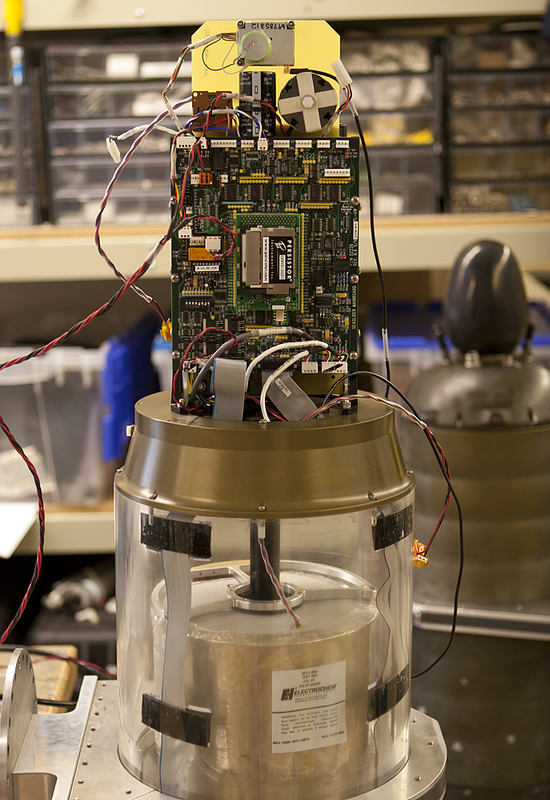 APL-UW prepared, shipped, final-prepped, launched, and is operating and collecting data from the glider. Engineer Keith Van Thiel, donning a snorkel mask and fins, helped the glider out of its cradle as it was eased overboard. Keith took the first-ever uderwater photos of the glider as it dove in deep, sky-blue, very clear water. A small preset error took some head-scratching to work through, but the glider was on its way by 1400 local time on 6/15 and has been flying very well since then. With the valuable assistance of Neil Bogue and Jim Bennett of the UW School of Oceanography, Principal Engineer Jim Luby piloted the glider for the second time—the first being Seaglider 019's maiden voyage in Port Susan, WA, in late April. 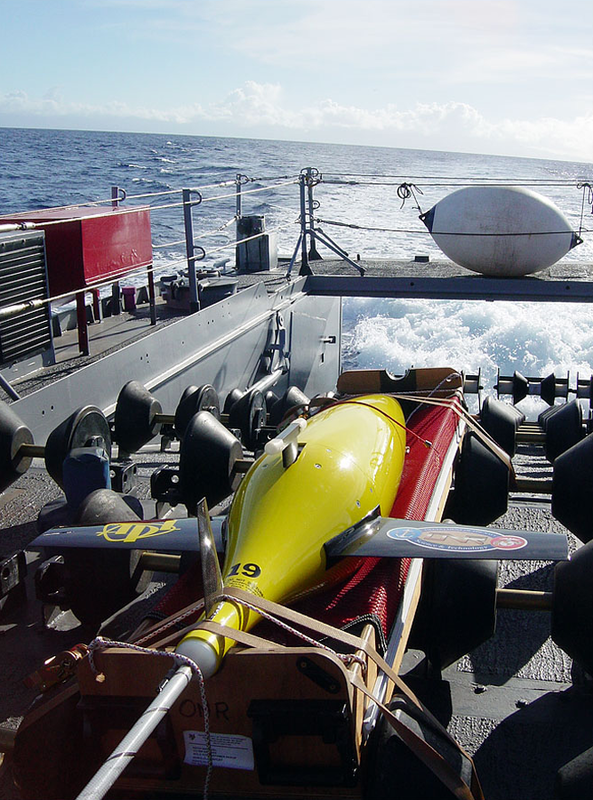 The data acquired from the glider is distributed in near-real-time to NPMOC Pearl Harbor, NPMOC San Diego, and NAVOCEANO during the exercise. 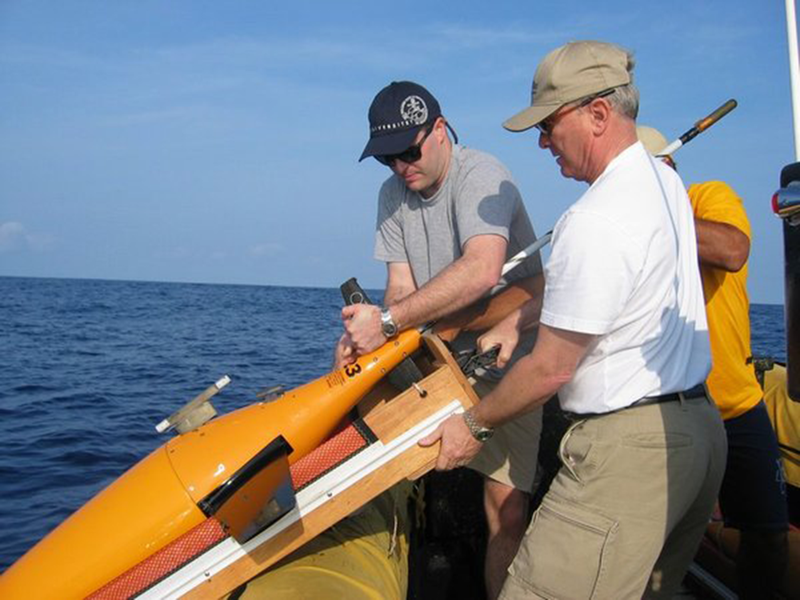 Senior Physicist Marc Stewart, who assisted aboard Chaparral with the launch, has worked continuously with Navy meteorological and oceanographic (METOC) personnel both at Pearl Harbor and San Diego since the launch to analyze and process Seaglider's data, evaluate the effects that the glider data is having on Navy ocean and acoustic propagation models and tactical decision aids, coordinate glider piloting with the Navy submarine community, and discuss operational concepts. 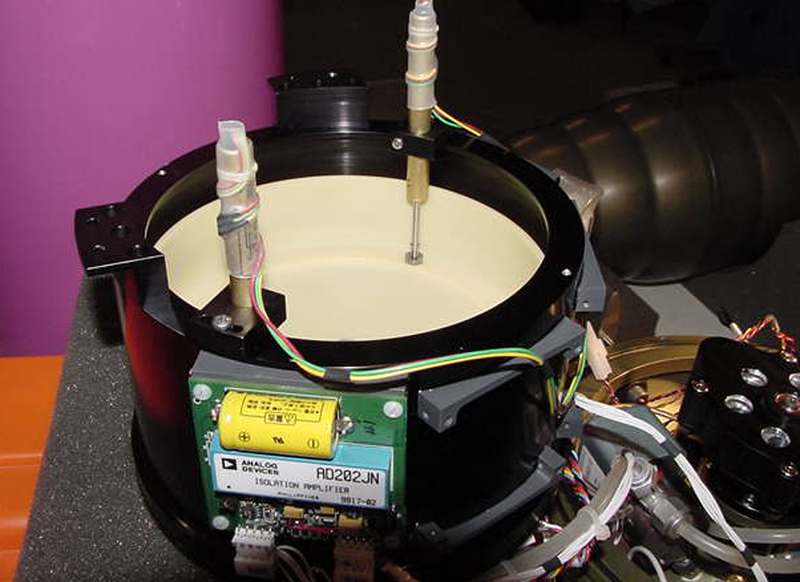 Temporally relevant environmental information, in the form of temperature initialization files suitable for fleet MODAS users, is distributed to air, surface, and submarine ASW end-users. Fleet units will assimilate and apply the information and develop time-dependent sensor performance predictions as a basis for their sensor performance predictions and, hence, sensor employment decisions. The scientific motivation behind this exercise is to see how well the Seaglider can resolve diurnal variability of the vertical structure of the water column and, possibly, the subtle variability of the water column caused by the background internal wave field. 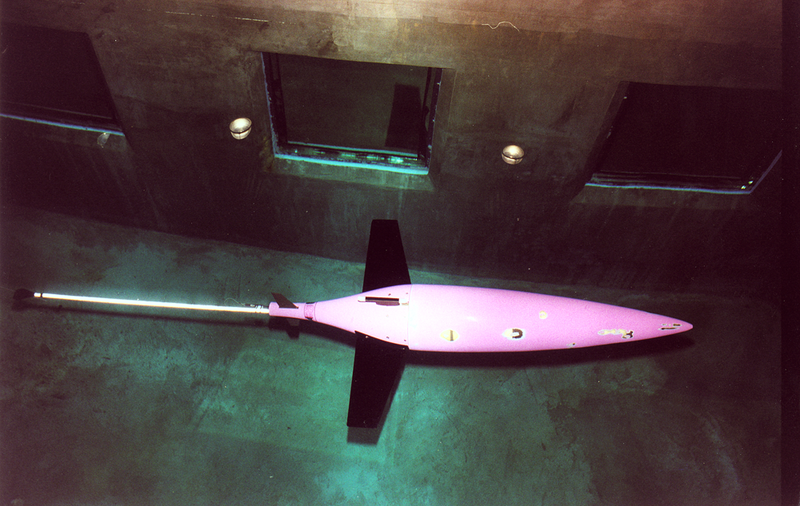 To do this, the glider is commanded to make a profile across a shallow portion of the thermocline repeatedly to depths of 75–100m. 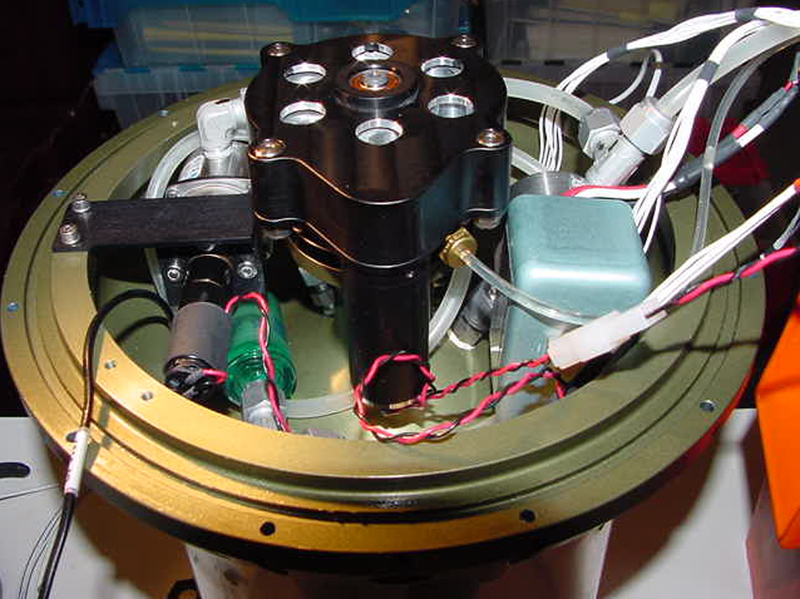 This is necessary to capture higher frequency phenomena of the upper water column. 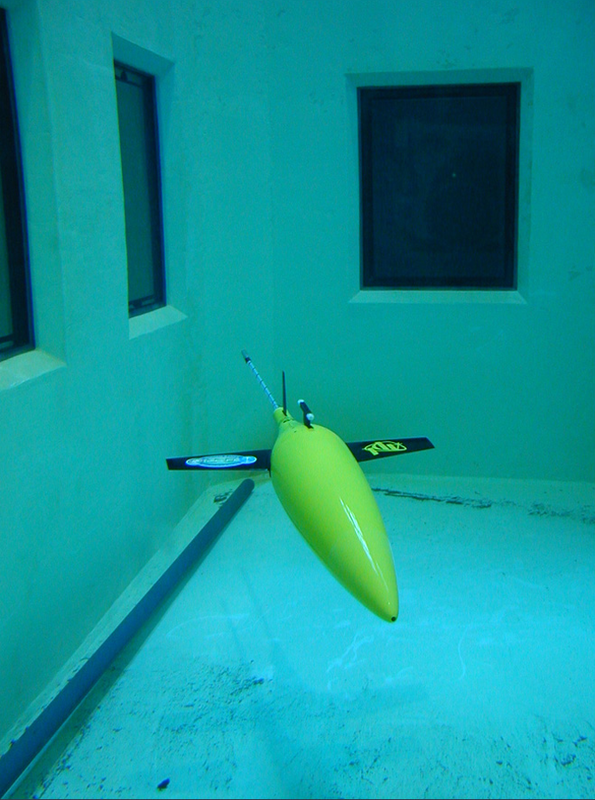 Seaglider, an autonomous undersea vehicle, is used in oceanographic research missions where measurements of salinity, oxygen, and chlorophyll over large spatial and temporal scales are needed, especially in inhospitable environments. 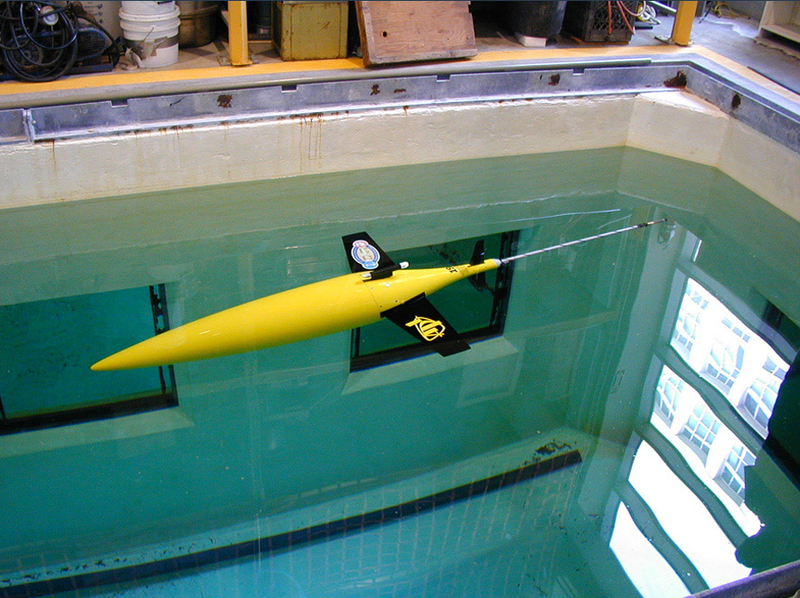 The Integrated Observational Platform (IOP) lab at the University of Washington's Applied Physics Lab regularly tests and deploys seagliders, buoyancy-driven autonomous underwater vehicles (AUVs). 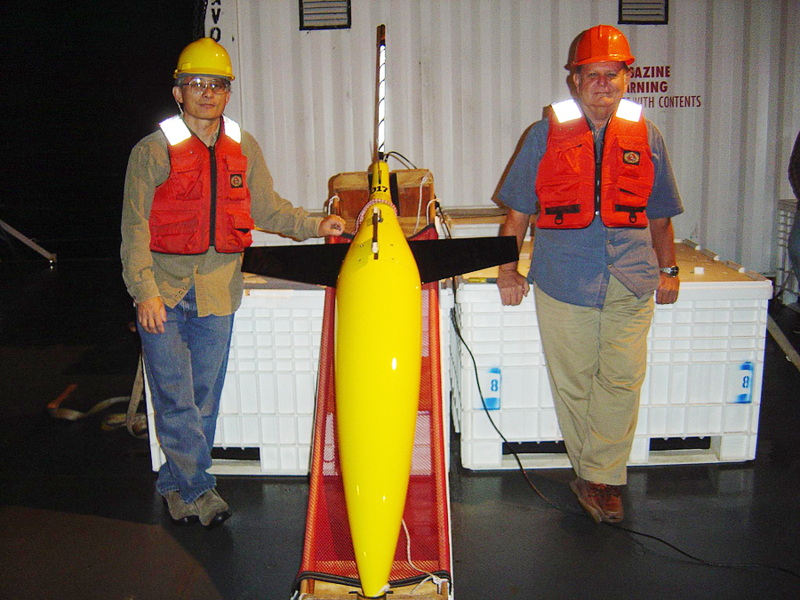 On 22 Dec 2007, a field team recovered a seaglider from testing in Port Susan, during rough conditions. Keep an eye out for logs rolling in the waves! This animation demonstrates how Seaglider moves through the ocean and communicates with satellites to transmit data and determine its global position. 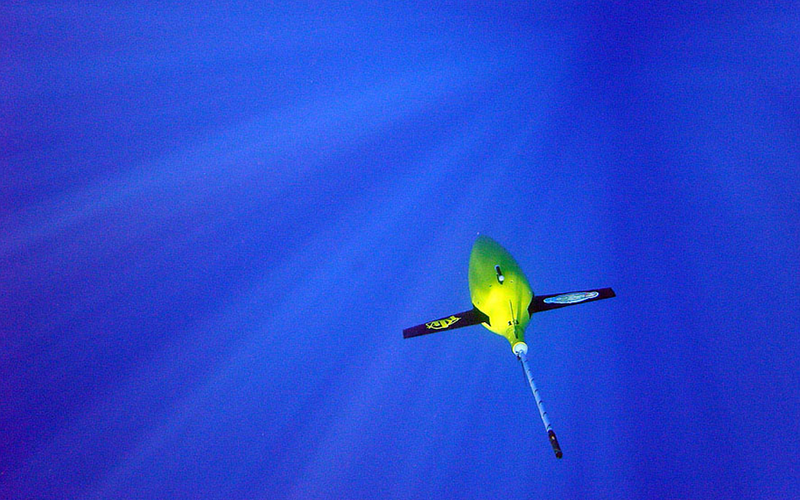 As Seaglider dives and ascends its wings cause it to glide, allowing horizontal movement. Internal sensors monitor the depth, heading and attitude of the vehicle. 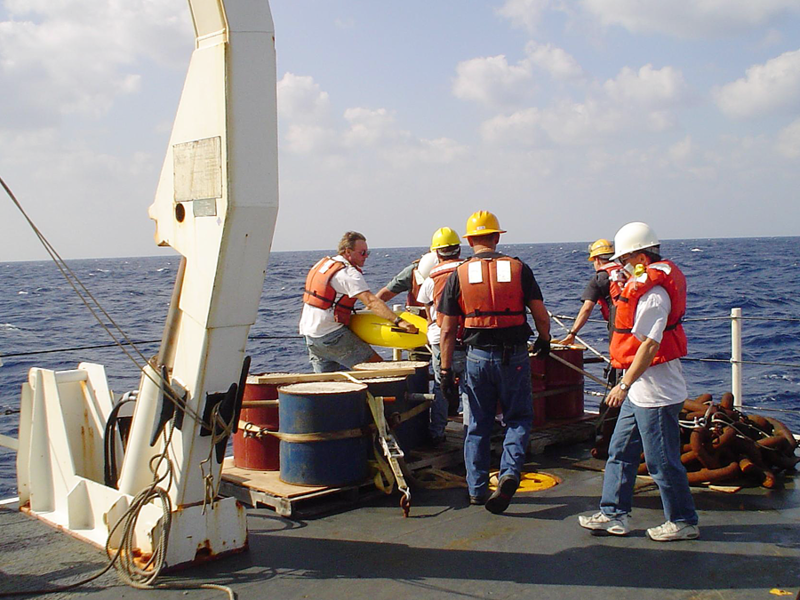 External sensors are constantly scanning the ocean to determine water properties. 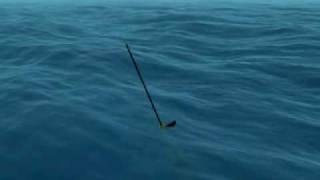 The animation is a 3D simulation of how Seaglider maneuvers. 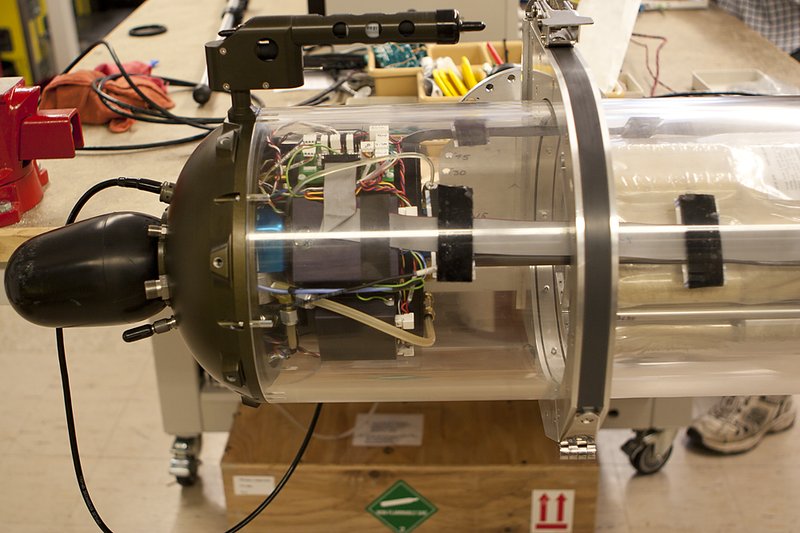 Cut-away views of the internal mechanics show how Seaglider pitches, rolls, dives, ascends, and surfaces. Frajka-Williams, E., C.C. Eriksen, P.B. Rhines, and R.R. 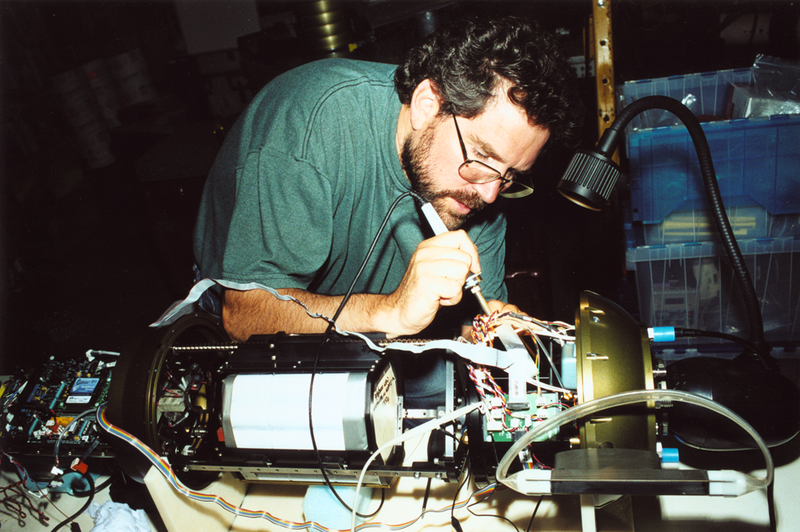 Harcourt, "Determining vertical water velocities from Seaglider," J. Atmos. Ocean. Technol., 28, 1641-1656, doi:10.1175/2011JTECHO830.1, 2011. Vertical velocities in the world's oceans are typically small, less than 1 cm s-1, posing a significant challenge for observational techniques. Seaglider, an autonomous profiling instrument, can be used to estimate vertical water velocity in the ocean. 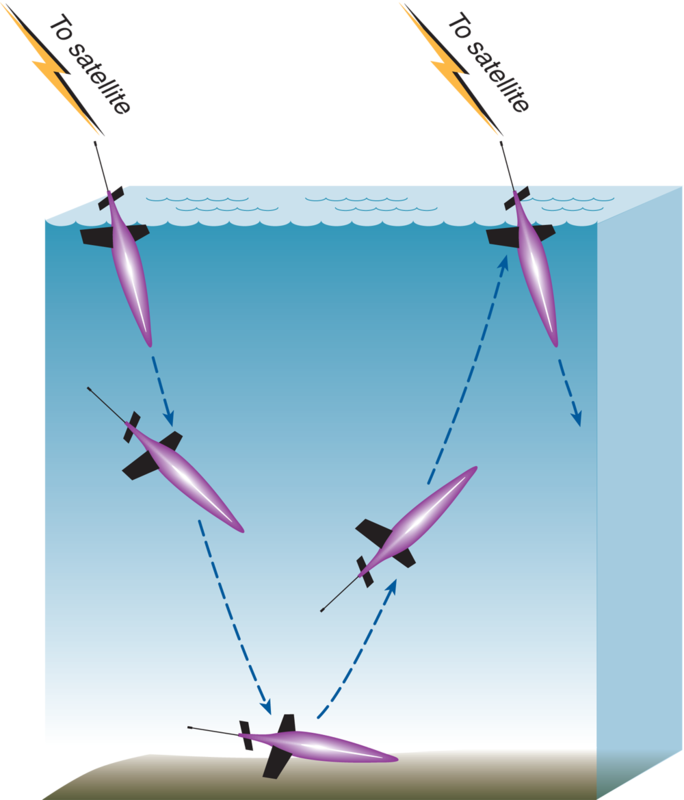 Using a Seaglider's flight model and pressure observations, vertical water velocities are estimated along glider trajectories in the Labrador Sea before, during, and after deep convection. Results indicate that vertical velocities in the stratified ocean agree with the theoretical WentzelKramersBrillouin (WKB) scaling of w; and in the turbulent mixed layer, scale with buoyancy, and wind forcing. 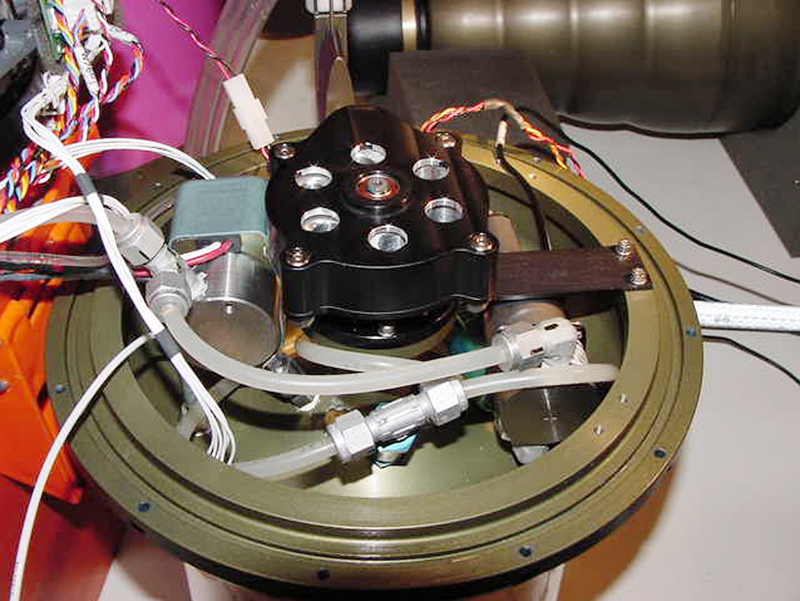 It is estimated that accuracy is to within 0.5 cm s-1. Because of uncertainties in the flight model, velocities are poor near the surface and deep apogees, and during extended roll maneuvers. Some of this may be improved by using a dynamic flight model permitting acceleration and by better constraining flight parameters through pilot choices during the mission. Passive-acoustic monitoring of odontocetes using a Seaglider: First results of a field test in Hawaiian waters. Klink, H., D.K. Mellniger, M.A. Roch, K. Klinck, N.M. Bogue, J.C. Luby, W.A. Jump, J.M. Pyle, G.B. Shilling, T. Litchendorf, and A.S. Wood, "Passive-acoustic monitoring of odontocetes using a Seaglider: First results of a field test in Hawaiian waters." J. Acoust. Soc. Am., 129, 2536, doi:10.1121/1.3588409, 2011. 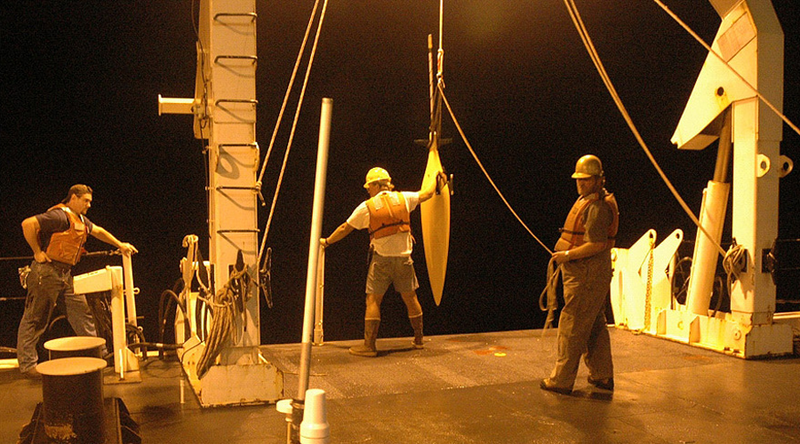 In fall 2009 the University of Washington, Applied Physics Laboratory conducted in collaboration with the Oregon State University, a comprehensive field test of a passive-acoustic Seaglider along the western shelf-break of the island of Hawaii. During the 3 week mission, a total of approximately 170 h of broadband acoustic data [194 kHz sampling rate] were collected. The recordings were manually analyzed by an experienced analyst for beaked whale (Ziphiidae), dolphin (Delphinidae), and sperm whale (Physeter macrocephalus) echolocation clicks as well as echo sounder pings emitted by boats in the area. Here we present and discuss first results of these data analysis, which revealed that more than 50% of the recorded files (each of 1-minute duration) contain bioacoustic signals. Furthermore the recorded data and the results of the manual analysis are used to validate and optimize an automated classifier for odontocete echolocation clicks, which was developed in a collaborative effort with San Diego State University. The algorithm is intended to be implemented on the Seaglider to enable species identification by classifying detected echolocation clicks in (near) real-time during sea trials. 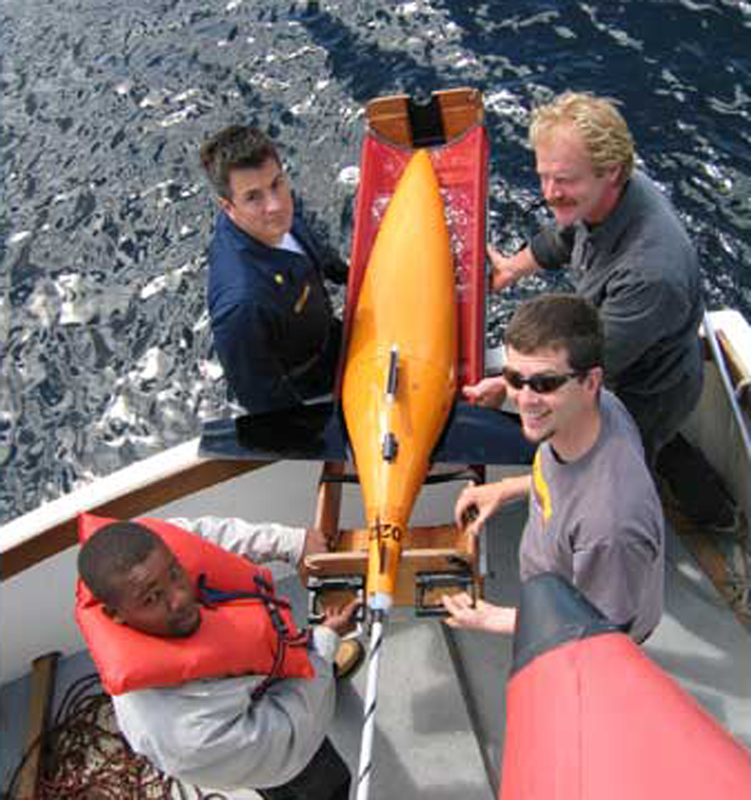 Wood, A.S., and K. Van Thiel, "Field Tests of the Glider Technology Transition Initiative Prototype Seaglider," APL-UW TM 1-08, November 2008. Howe, B.M., and M.L. Boyd, "Using Seagliders for acoustic receiving and communication," J. Acoust. Soc. Am., 123, 3913, 2008. 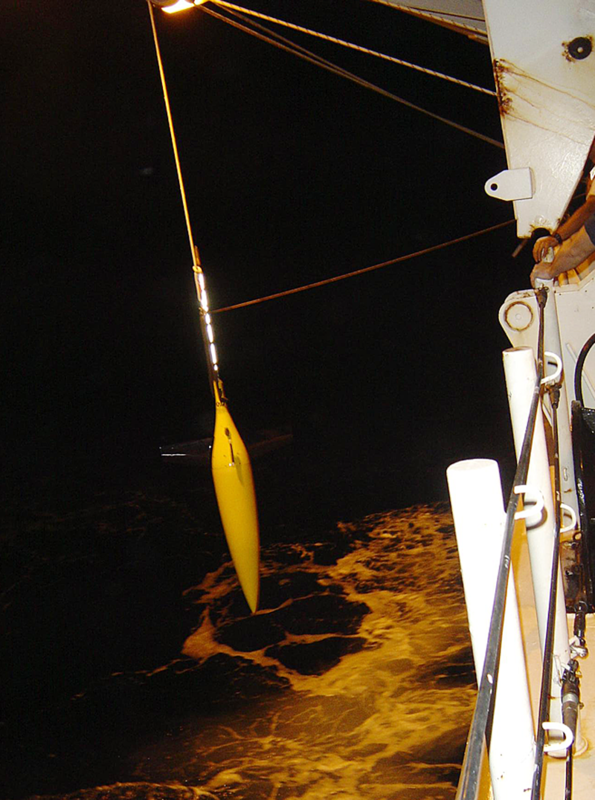 Underwater gliders are beginning to be used as tools in ocean acoustics and acoustical oceanography. 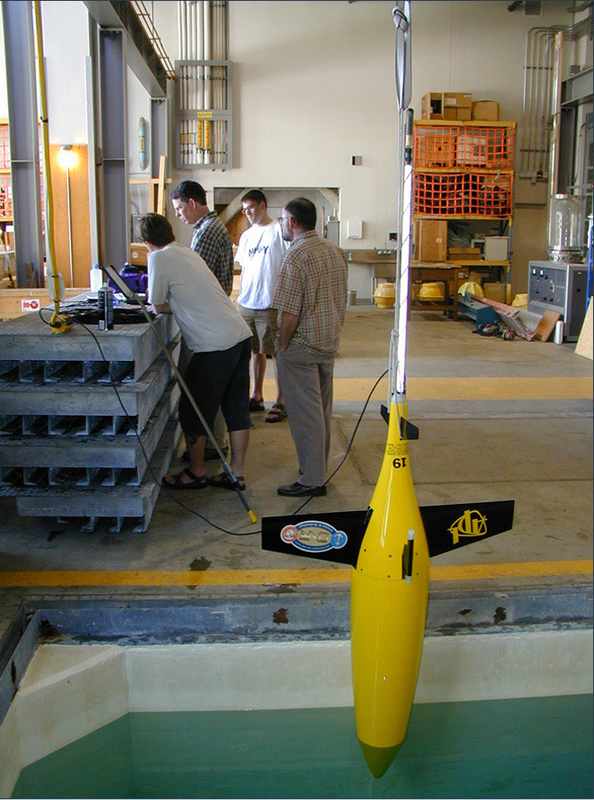 Results from several experiments conducted in summer 2006 with Seagliders equipped with acoustic modems and receivers are described. 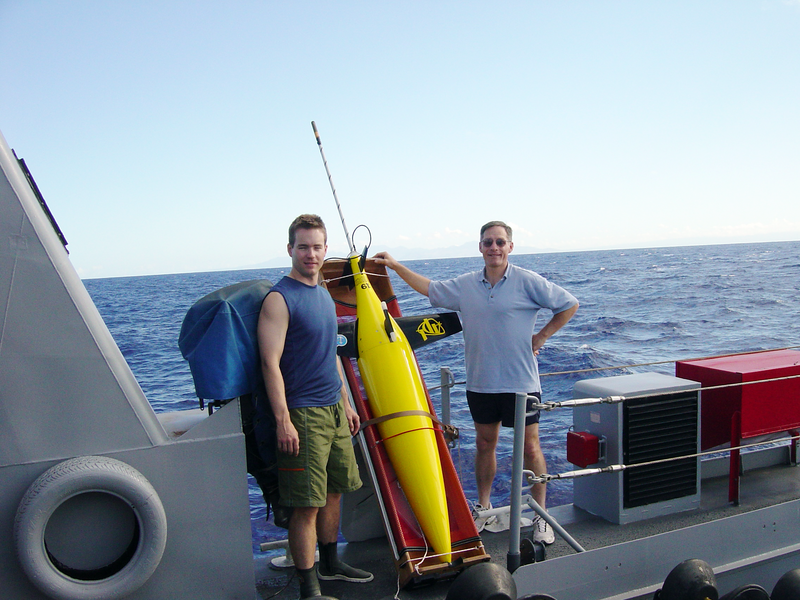 Off Kauai, a glider received signals from the Acoustic Thermometry of Ocean Climate/North Pacific Acoustic Laboratory 75 Hz source; subsequent coherent processing showed close to theoretical gain for 12 min records while moving away from the source at ranges >100 km with velocity 20 cm/s (measured by travel time, Doppler, and dead reckoning). 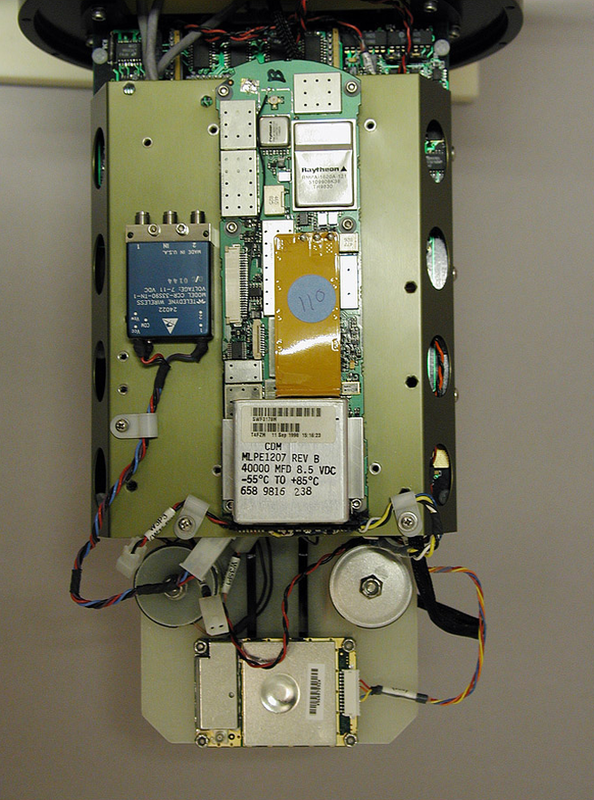 In the Monterey Bay MB06 experiment, two-way communications between other subsea platforms and shore via the acoustic modem-equipped glider was demonstrated (albeit with latency). 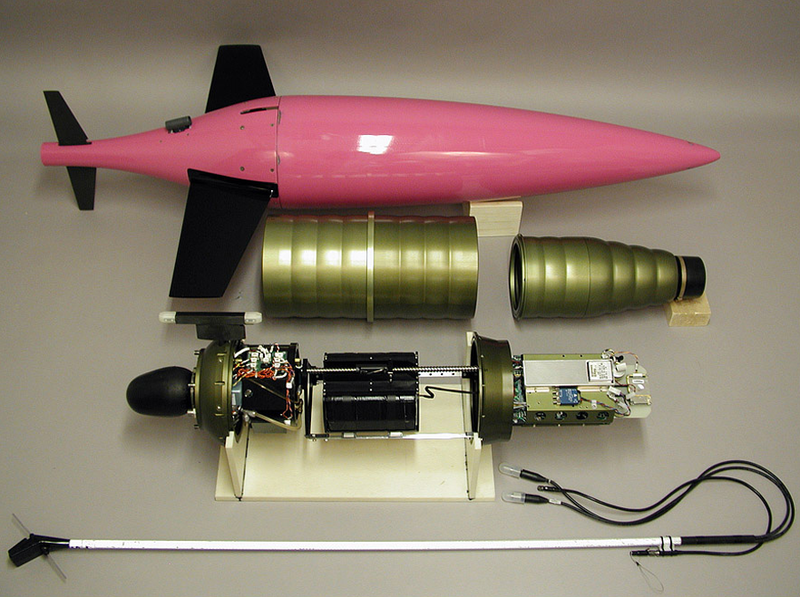 The results support the future use of gliders as precision navigated platforms, communication and time distribution nodes, and thermometry/tomography mobile receivers. Eriksen, C.C., T.J. Osse, R.D. Light, T. Wen, T.W. Lehman, P.L. Sabin, J.W. 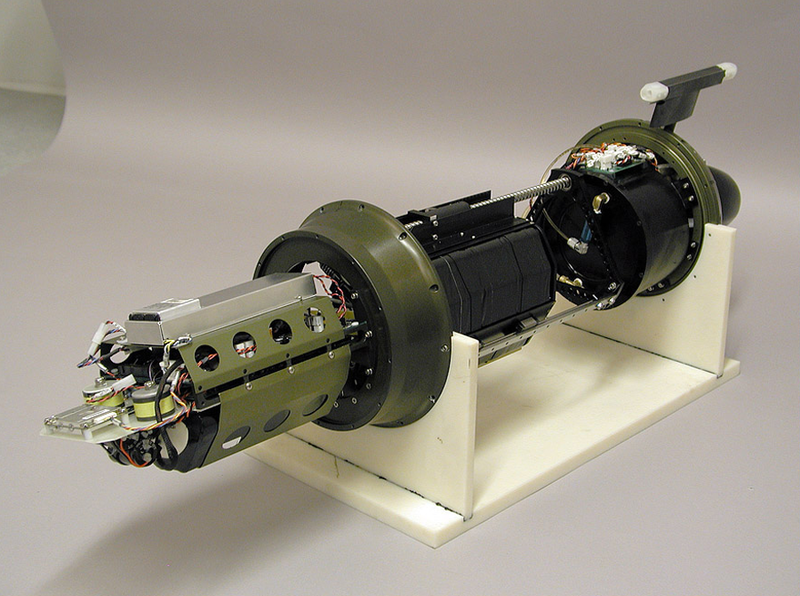 Ballard, and A.M. Chiodi, "Seaglider: a long-range autonomous underwater vehicle for oceanographic research," IEEE J. Ocean. Eng., 26, 424 - 436, doi:10.1109/48.972073, 2001. Seagliders are small, reusable autonomous underwater vehicles designed to glide from the ocean surface to a programmed depth and back while measuring temperature, salinity, depth-averaged current, and other quantities along a sawtooth trajectory through the water. Their low hydrodynamic drag and wide pitch control range allow glide slopes in the range 0.2 to 3. They are designed for missions in a range of several thousand kilometers and durations of many months. Seagliders are commanded remotely and report their measurements in near real time via wireless telemetry. 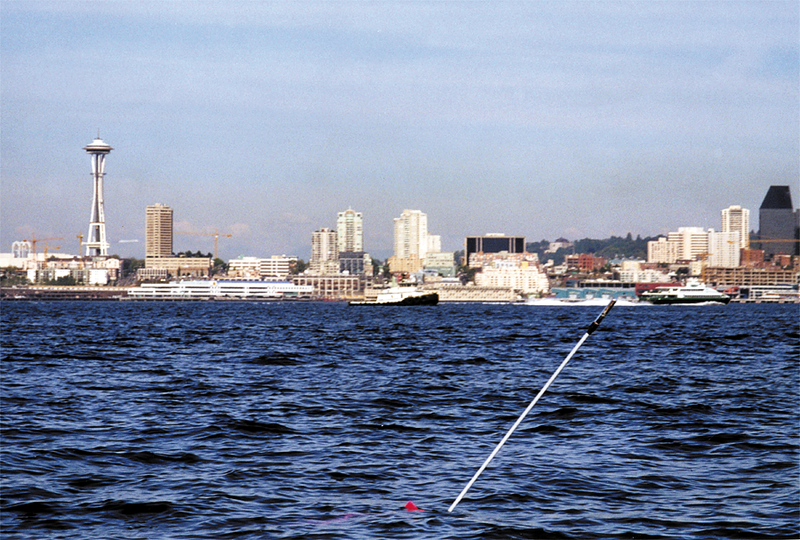 The development and operation of Seagliders and the results of field trials in Puget Sound are reported. Eriksen, C.C., R.D. Light, T.W. Lehman, T. Wen, M.J. Perry, A.M. Chiodi, P.L. Sabin, M.L. 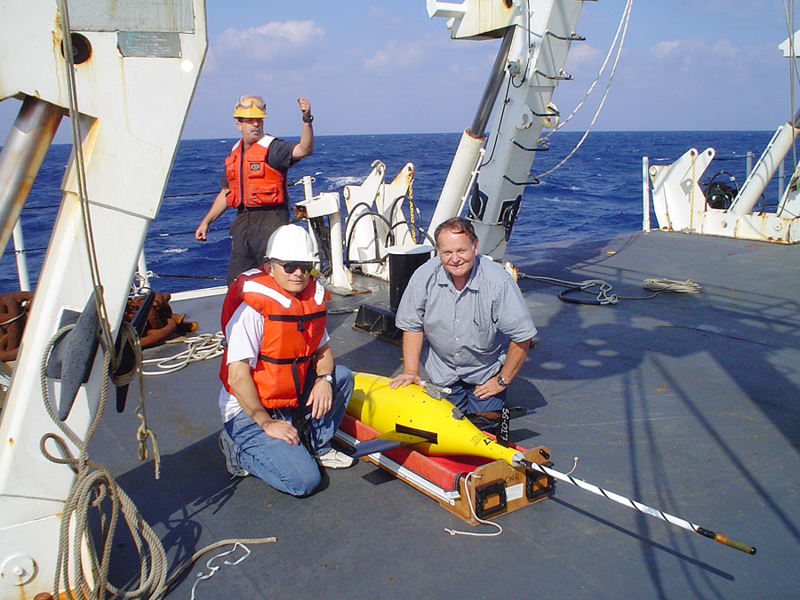 Welch, and N.M. Bogue, "Seaglider Observations During Summer 2000"